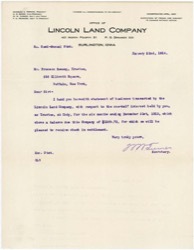 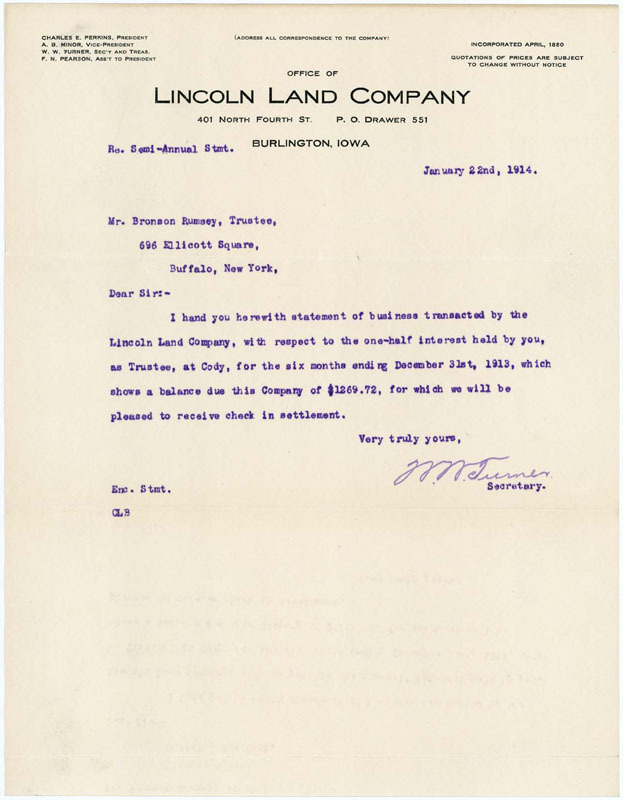 I hand you herewith statement of business transacted by the Lincoln Land Company, with respect to the one-half interest held by you, as Trustee, at Cody, for the six months ending December 31st, 1913, which shows a balance due this Company of $1269.72, for which we will be pleased to receive check in settlement. 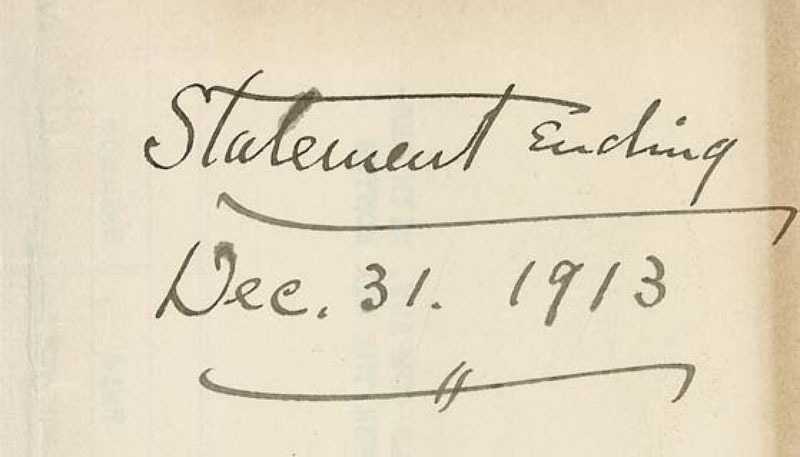 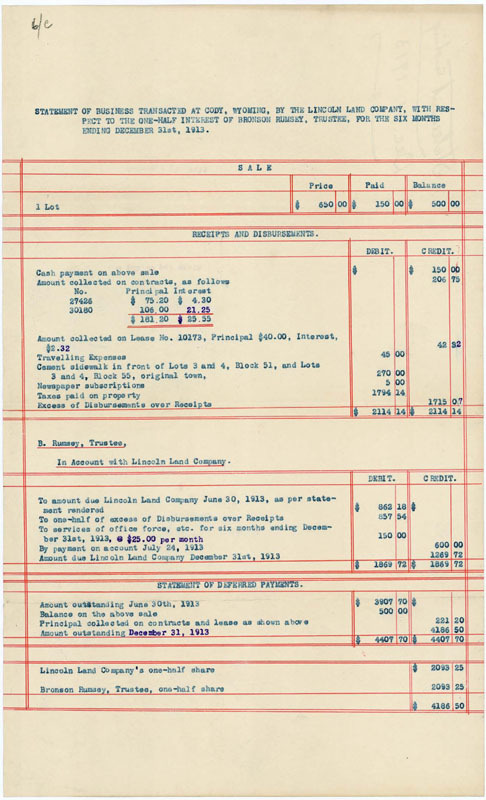 Statement of business transacted at Cody, Wyoming, by the Lincoln Land Company, with respect to the one-half interest of Bronson Rumsey, trustee, for the six months ending December 31st, 1913. 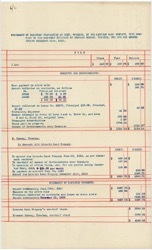 Note: Document includes cover letter and transaction statement.